Happy Hoooowloween! 😀 And what better to review on the day of the returning dead itself if not a show about vampires? This is another one of those shows I never thought I’d see. If being a spin-off of The Vampire Diaries wasn’t bad enough (remember, I did not want to watch that for awhile), following the murderous frenemies of its cast would undoubtedly be even worse, wouldn’t it? But I was wrong about the one show, so why not the other? First thing I’m going to say is: separating the two stories was an excellent move. Both casts are strong, but they crowded each other when they were on the same show. Apart, they both have room to breathe and move. 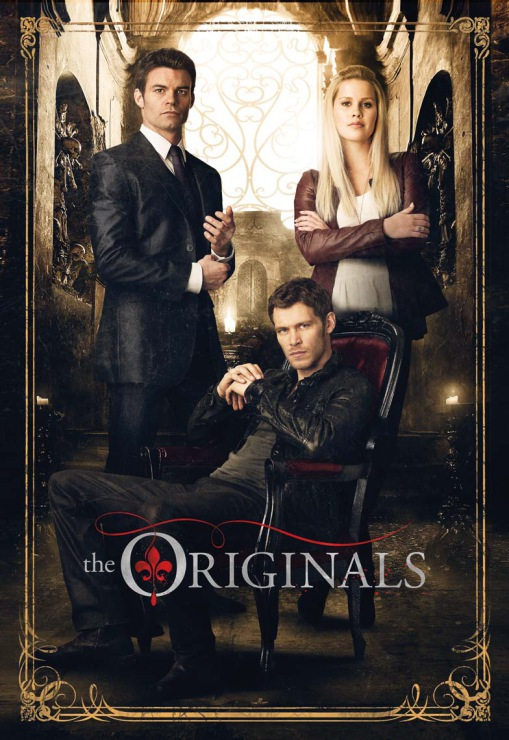 The Originals is an action/horror drama, following its titular characters, the first family of vampires, as they engage in Machiavellian plots and Shakespearean levels of intrigue on the streets of modern-day New Orleans, leaving a veritable ocean of bloodshed in their wake. They face all kinds of enemies, including former friends and allies, among the population of vampires, witches, werewolves, and worse, not to mention normal humans. They fight for one reason: their family, both to protect each other, especially the young life of the daughter who unexpectedly enters their lives, and to redeem each other from a long, painful past. The best and worst part of the show is, simply, how these are the villains of most stories, and, at times, arguably the villains of this story too. Though the degree may vary, each member of the Mikaelson family is violent, vicious, treacherous, conniving, and uncaring for the lives caught in their path. Oh, and utterly unrepentant, even taking pleasure in their bloody deeds. I was certain I’d hate that, and, at times, I do. However, there’s just something intriguing about a good villain, and this lot at least knows and admits it. They don’t pretend to be virtuous or anything like that as they kill and murder their way through their enemies and any appetizing bystanders in the vicinity. That not only differentiates them from certain other characters I could name, who are so consumed with how tortured they are inside that it’s amazing they can get out of bed in the morning, but also separates them from a number of their antagonists, who pretend to virtues they do not much possess. Of course, it also makes it most compelling when various deeds that the Mikaelsons have committed often return with a vengeance, to threaten them and what little good exists under their protection. All the same, no matter how entertaining or lovable the Mikaelson family is, with their various personalities and desires and yearning for something better than they’ve known in their long lives, it gets very hard to root for them sometimes. They do terrible things, make any terrible sacrifice without hesitation, and all while beholding themselves as somehow superior to others. They’re only doing what they need to for their family, after all. It’s a selfishness, and a sadistic viciousness, that often costs them my sympathy, though they remain interesting enough that I want to see what happens. This story, of villains who are always villains but sometimes heroes too, is a bit unique among everything I’ve watched. It’s interesting, and fresh, and surprisingly compelling at times. And, yes, it can be surprisingly hilarious at times, even right next to tragedy and mourning. That last is often due to the unending supply of one-liners and the interacting temperaments that only a family can pull off. If there were one particular complaint I would have, it would remind me of a similar complaint I have with Vampire Diaries: sometimes they really have to stretch to keep the normal human characters relevant in this contest of supernatural powers. By contrast, however, Diaries kills off the supernatural characters alongside the humans, while Originals kills off pretty much all of the humans instead. I’m not entirely sure what to make of that just yet. It’s also a little obvious, at first, all the pairings that each Mikaelson has dominating their personal lives. One loves a vampire, one loves a witch, one loves a werewolf, one loves a human, that sort of thing. 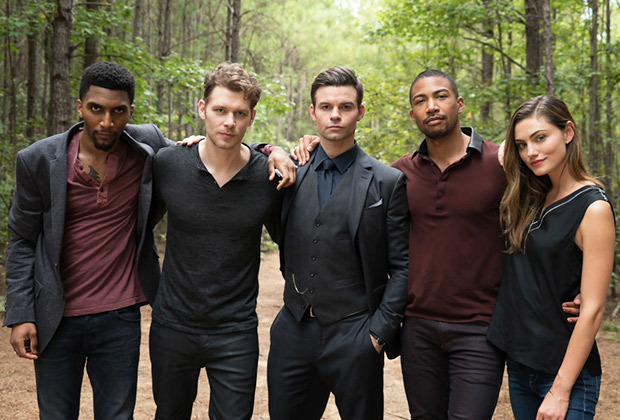 It was intriguing, but also frustrating, how the Originals could stand in the center of the supernatural community, one which they apparently united in peace once, and completely fail to even try at uniting now. I mean, just imagine if the final legacy of the Original vampires was not bloodshed, but an end to the bloodshed and strife that puts everyone at each others’ throats. But, no, instead, they try to rule and dominate and do whatever they want, and it all goes to crap again and again. No matter how many times they rise up, they fall back down, because they destroy the ground under their own feet. I keep wondering when they’ll ever learn. When I root for their happiness, it’s not just so they can find peace after a thousand years of pain, but also so they’ll shut up and live quietly and kill fewer people. Basically, The Originals is a dark, bloody show, and I can almost never tell who I’m supposed to root for, but it’s a very fun, interesting ride anyway. I’m actually looking forward to the next, and final, season, which will bring the entire franchise to a conclusion. This entry was posted in Tuesday Review, TV Shows and tagged The Originals, The Vampire Diaries. Bookmark the permalink.